Born in Dublin in 1957, Eamon Colman studied in the Trinity Art Workshop and the National College of Art and Design, Dublin, beginning a full time professional career in 1979. He was chairperson of The Artists Association of Ireland (1993-1995) and elected President, The European Council of Artists (1995-2000). Having created over forty solo exhibitions presented nationally and internationally he is considered one of Irelands most important painters. In recognition of his major contribution to Irish culture Eamon Colman was elected a member of Aosdána in 2007 and to the Toscairi in 2018. In 1997, he was invited to host a major mid-term retrospective exhibition of his work entitled Post Cards Home at The Royal Hibernian Academy, Dublin at the age of 39 yrs. This was accompanied by a monograph on his work by writer and art critic Brian Mc Avera entitled Dreams from The Lions Head, The Work of Eamon Colman by Four Fields Press. A 25-year retrospective of his work is featured in a substantial publication by Gandon Editions, Kinsale: Profile 25 – Eamon Colman (2006). In 1989, he won First Prize Painting Award in EVA International; 2001 First Prize Painting Award in Eigse; in 2002, he was the first Irish artist to be awarded Full Fellowship Award from The Vermont Studio Centre USA; in 2005, he won a CCAT Interreg Major Award for touring an exhibition in Wales and in 2018 was awarded a Culture Ireland GB18 Award. He has had numerous solo exhibitions in museums and art galleries in Ireland and abroad including: Hillsboro Fine Art, Dublin (2004 - 2018); Rubicon Gallery, Dublin (1990 - 2000); Rua Red, South Dublin Arts Center, Tallaght, (2010); Temple Bar Gallery (1986), The Hugh Lane Municipal Gallery (1992); Oriel Q Gallery, Wales (2018, 2010, 2006); Stern Studio Gallery, Vienna (2017, 2011); The Cecille R. Hunt Gallery, St. Louis, USA (2008); Galleri Caernarfon Cyf, Wales (2007). 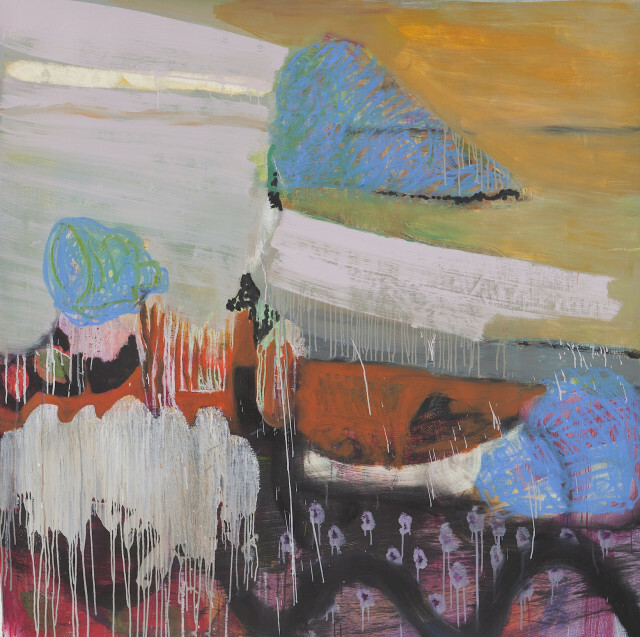 His work has also been included in exhibitions representing contemporary Irish art in Brussels, Denmark, France, Spain, UK, Hong Kong, Canada, and USA. Colman’s work is represented in many major collections including: The Arts Council of Ireland, Office of Public Works - Government Collection, Gordon Lambert Collection – Irish Museum of Modern Art, AIB Bank, Bank of Ireland, K P M G, Smurfit Ireland Grp, Citibank, Deutsche Bank, Arthur Anderson, Royal Victoria Hospital, Belfast, Tralee Regional Technical College, Fyffes Ireland, Delta Airlines, The Danish Arts Council, De Vere’s private collection and various private collections worldwide. In 2003 he moved from his native Dublin to set up a studio in the rural uplands of north-east Co. Kilkenny where he lives and works.